Create Payments is a secure payment gateway fully integrated within your Create account, meaning you can accept credit and debit card payments with ease - and it's free to join! Offer your customers an enhanced buying experience with the mobile-friendly payment process from Create Payments. Accepting payments through your ecommerce store couldn't be simpler, and with Create Payments you can manage your business all in one place! 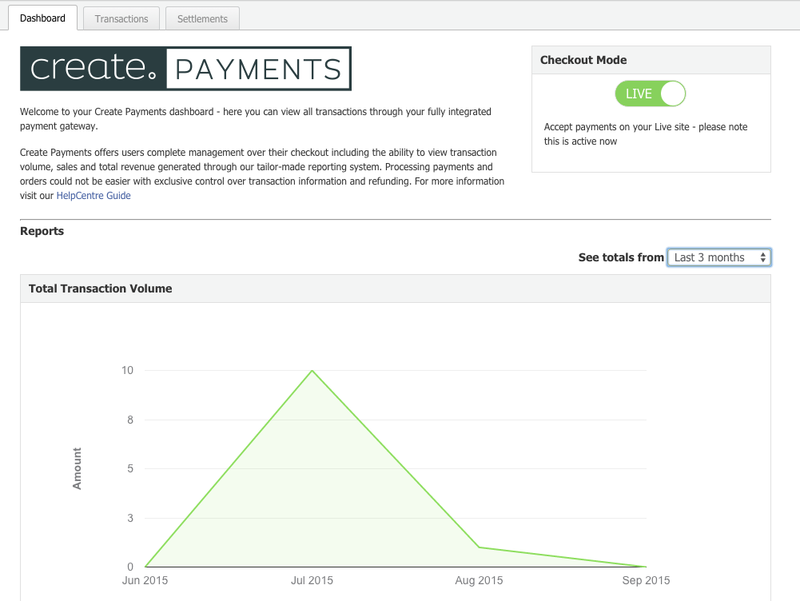 From the Create Payments dashboard you will be able to view your transaction reports and summaries. You can also toggle Test Mode on and off, enabling you to run test orders through your gateway. 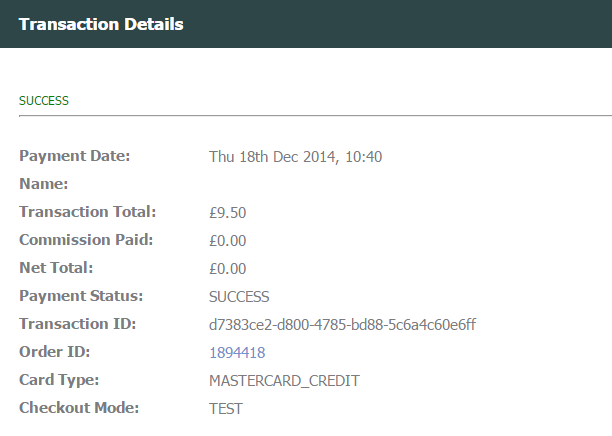 Read our HelpCentre guide "How To Place A Test Order With Create Payments" for further details. 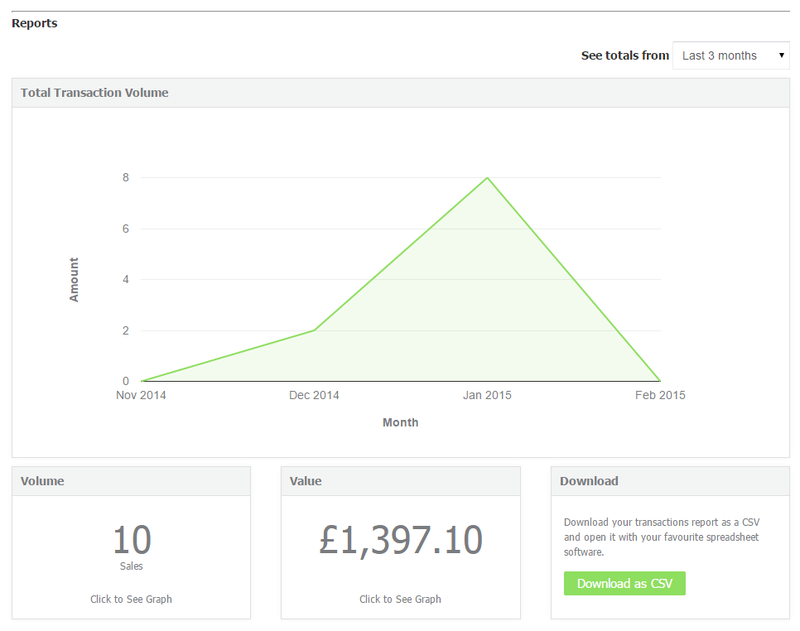 From the dashboard you can view "Volume" and "Value" reports by clicking on each of these items. 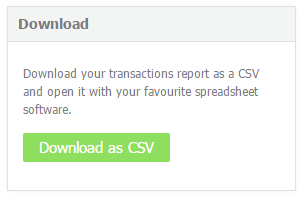 You can also download all orders in a handy .csv file. 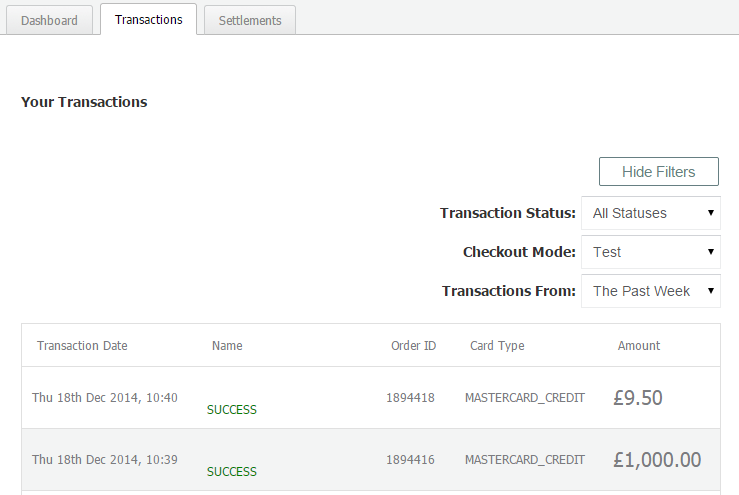 From the transaction tab at the top of your page, you will see an overview of all transactions made through your store, including the status of each of these. You also have the option of filtering transactions by "Transaction Status", "Checkout Mode" and "Date Range" using the drop down options within the "Show/Hide Filters" button. Through the transaction screen you can also click on a specific order to see additional details, as well as refund the order from within your Create account! With Create Payments you are able to refund an order in part or in full with just a few clicks. For steps on how to refund a transaction, take a look at our guide "How To Issue A Refund With Create Payments". Settlements are the invoices that you will be sent around twice a week. These will be the transaction amounts minus the applicable 2.4% transaction fee. Once the status of an order is SETTLED, this amount will transfer to your bank account within the next 5-10 working days in batches which you can track from within your "Settlements" area. For further information on the Settlements feature please see our HelpCentre guide "Receiving Settlements Through Create Payments". We hope you enjoy the premium features Create Payments has to offer. Read all about the benefits of Create Payments on our website, and see our HelpCentre guide "How To Sign Up To Create Payments" for details on using this facility.